I was lucky to have bought a house that had at one time housed a gardener. The previous owners had already started gardens in the sunniest spot. They had planted an asparagus garden, many beautiful bulbs of tulips and daffodils, peonies, coneflowers and more. They had set up arbors and built a gazebo off the large deck to enjoy the outdoors, bug free. It really was great. Along the edge of the yard near the road was a row of big forsythias that bloomed bright yellow in spring. The side yard was bordered by big purple rhododendron shrubs. That yard was fun to garden in. I expanded and added my own flowering shrubs to the already lovely landscape. 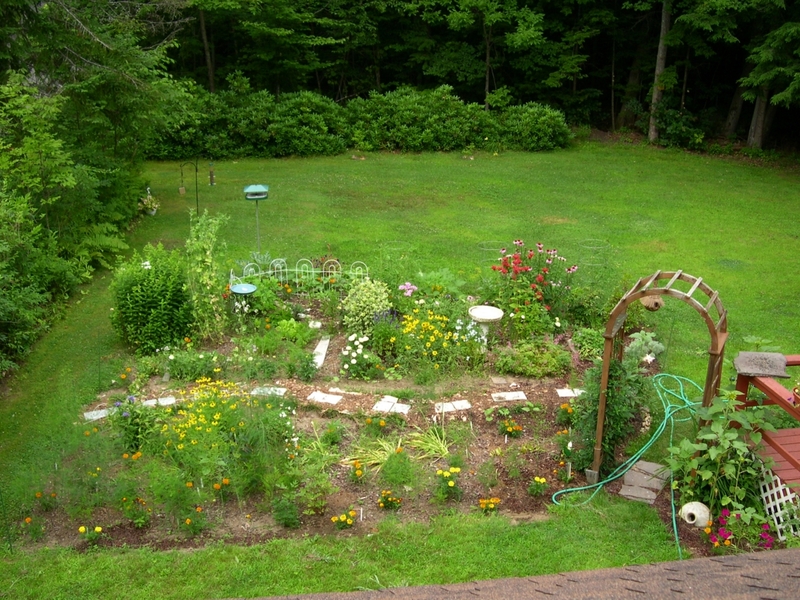 When I moved in I really just needed to do some maintenance – like lots of weeding – to make the yard sparkle. Unfortunately, instead of growing old in my home, disaster struck and I only had two years to enjoy that place. But it taught me a lot about what will grow in this area and I’ve longed for my own yard again to duplicate what I used to have. I just moved into my own place over this past summer, and although I did plant a few things – daylilies, tulip bulbs, peonies, small hydrangeas and a rhododendron, I know the yard will be sparse come summer. It’s sad for me to look at the photos from my the yard at my old house, and when I think of all the work I put into the place, I can only hope that the people living there are enjoying it as much. My hope now is to transform this barren yard (where I now live) into something beautiful. The land is not as good. The yard is fairly small and surrounded by trees, which means less sun, so it will be a challenge. We’ll see what happens.